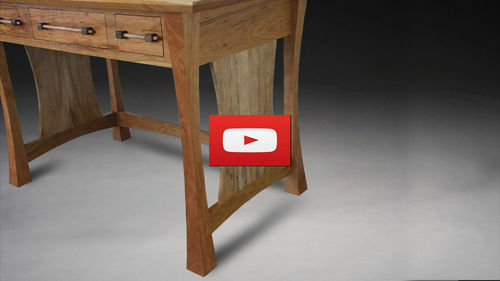 The main part of the desk is made from Cherry, the accent panels between the legs are made from spalted maple, and the handles are made from maple and walnut. I finished with a satin wipe on poly. 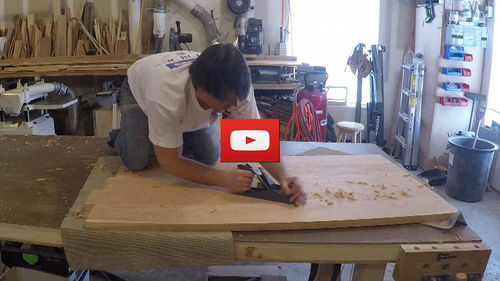 Below is a video series of how I went about building the desk. Please watch and subscribe to my YouTube Chanel. 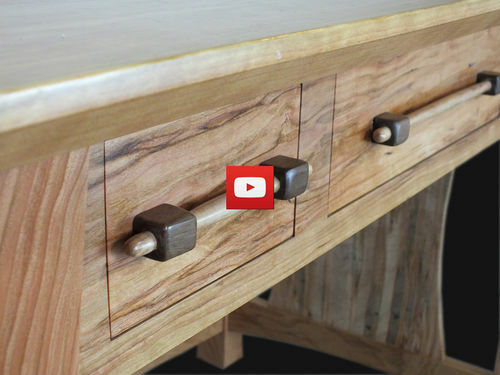 I like the way the grain runs through the drawer to the frame, pretty slick. That came out real nice. Great job n the matched grain. Very nice writing desk! I like how you’ve incorporated curved legs into the overall A&C style of it! I agree with everyone here. That is incredibly stylistic. The curves give it a very Japanese quality. Awesome curved design. Those massive wooden pulls are incredible.I enjoyed in video presentation. Great design. I especially LOVE those handles. 6. The eye-catching custom made pulls. Very graceful lines. Well thought out design. Love it! Beautiful and loved the videos. This is so beautiful and nicely design. I also like the design.